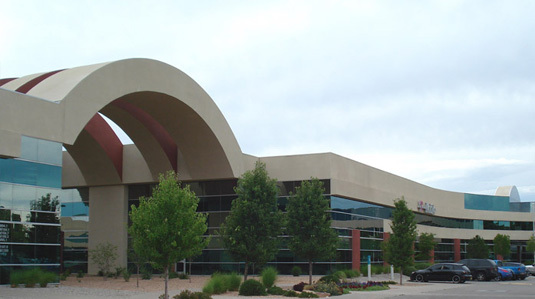 DESCRIPTION: Jefferson Commons 2 is the largest of the Chant Associates Developers mixed use business parks along the Inters tate 25 corridor in Albuquerque. SITE DESIGN, LAND USES: The Development consists of 20 acres mixed office and business uses and 10 acres set aside for restaurants and entertainment. The design projects the buildings to the streets and reduces the prominence of parking areas. BUILDING CONCEPT: The Core Buildings or they can be used as multi-tenant buildings or they can be combined for a maximum single tenancy of 125,000 sf. Exterior Amenities: Covered exterior areas provide for outdoor activities and a jogging path circles the entire landscaped park perimeter. ARCHITECTURAL CONCEPT: Building facades echo the sweeping movement of Jefferson Street, the main arrival route. 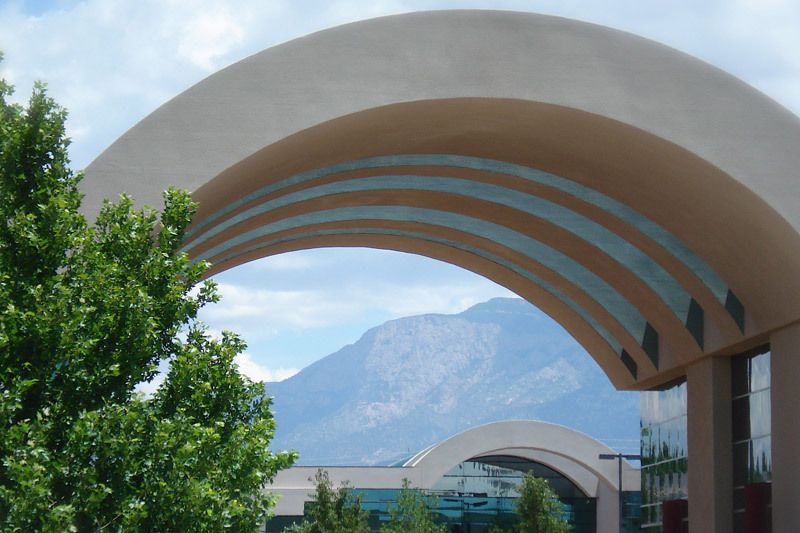 Ribbed barrel vaults spring from the building facade bands as distinctive vertical elements echoing the vertical thrust of the mountains to the east. The Core Buildings are designed to a typical depth of 120 feet with full glass perimeter walls for maximum interior daylighting. 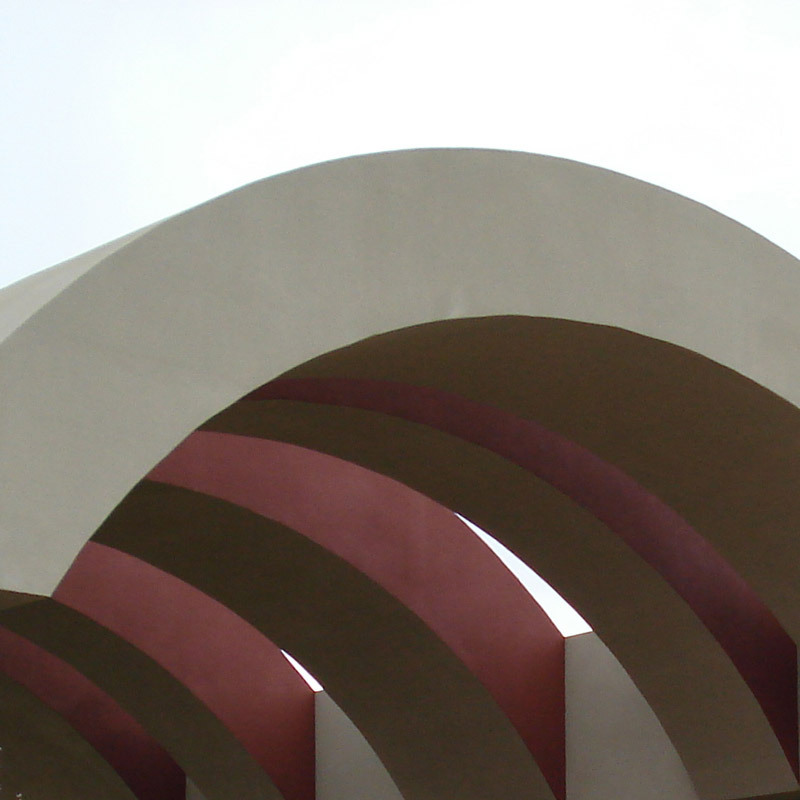 The two buildings are connected by a large ribbed barrel vault serving as employee shaded outdoor space with views. This space can be enclosed as central lobby for a single tenancy. Natural topography permits partial open covered parking under buildings. 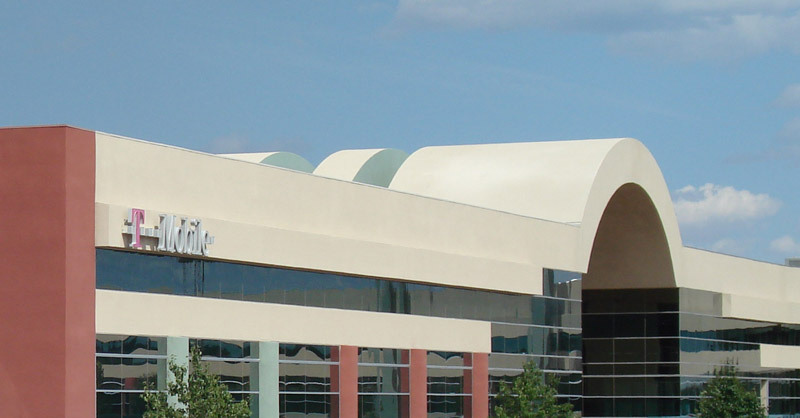 T-MOBILE is a 62,000sf Regional Call Center which includes Training Facilities, Customer Service and Technical Assistance as well as a Human Resources Department, Fitness Room and indoor/outdoor Cafeteria. The Call Center is divided into two spaces with views to the mountains. 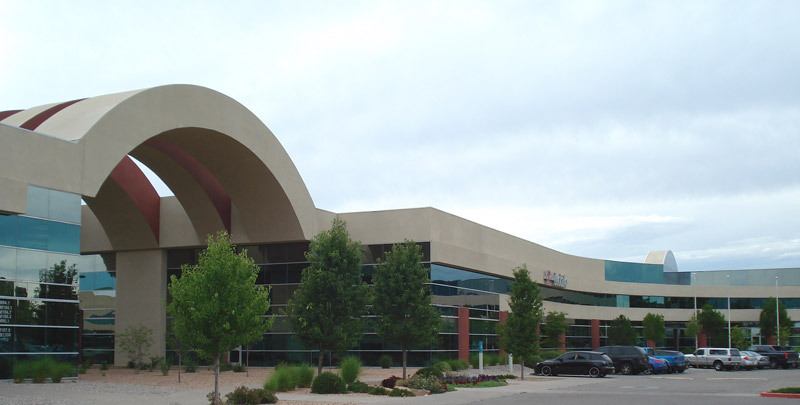 CLEAR CHANNEL COMMUNICATIONS is the Clear Channel hub for New Mexico and shares the building with State Farm Insurance. 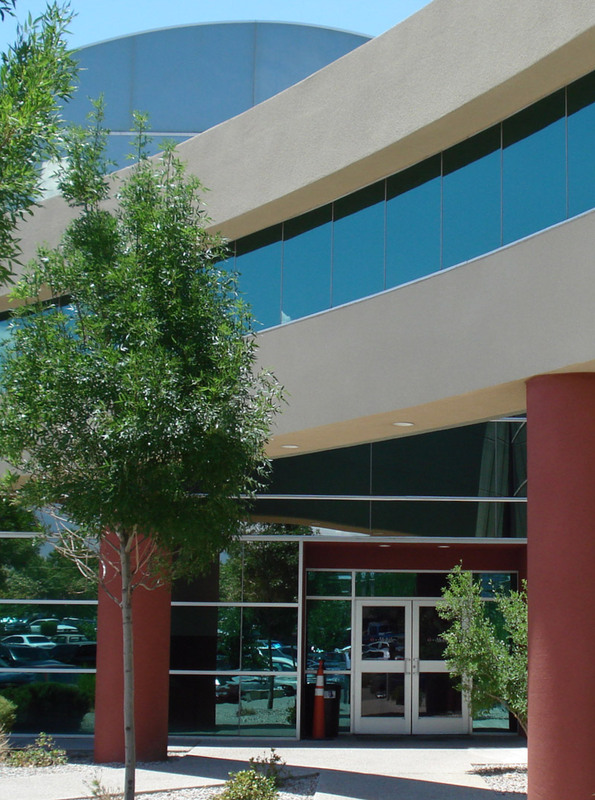 The facility houses numerous broadcasting studios, two large office and sales spaces, conference rooms and roof top satellite receiving-transmission equipment. 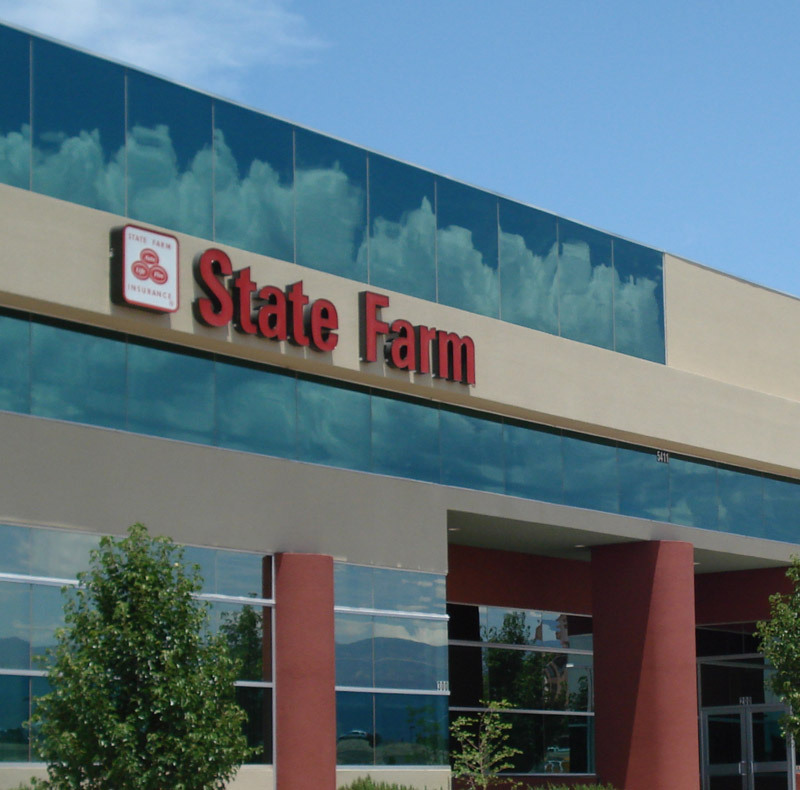 STATE FARM INSURANCE FIELD OFFICE is a large Statewide training and claims processing facility. 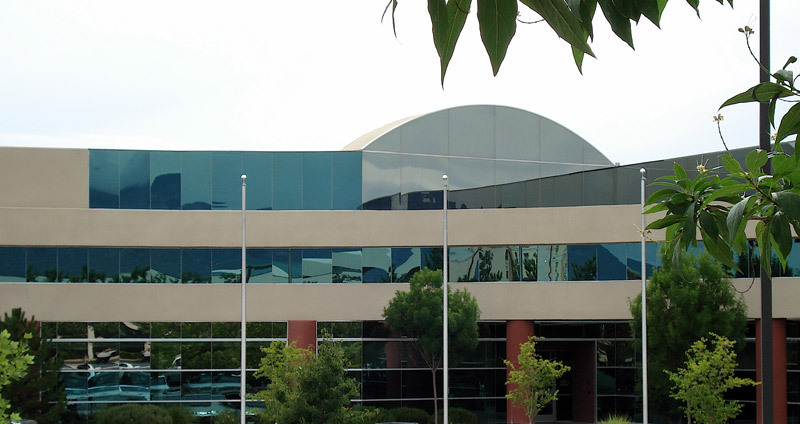 The offices are organized around a large central claims processing floor and a wide hall connecting the secure reception to the to Training and Conference Facilities and through the building to the Cafeteria including an exterior patio for employee use and to covered parking under the building. ENERGY CONSERVATION / DAYLIGHTING AND HUMAN SCALE: The building utilizes high performance reflecting glass to reduce solar load and heat loss. The office is designed to allow maximum daylight contribution to the call center floor.